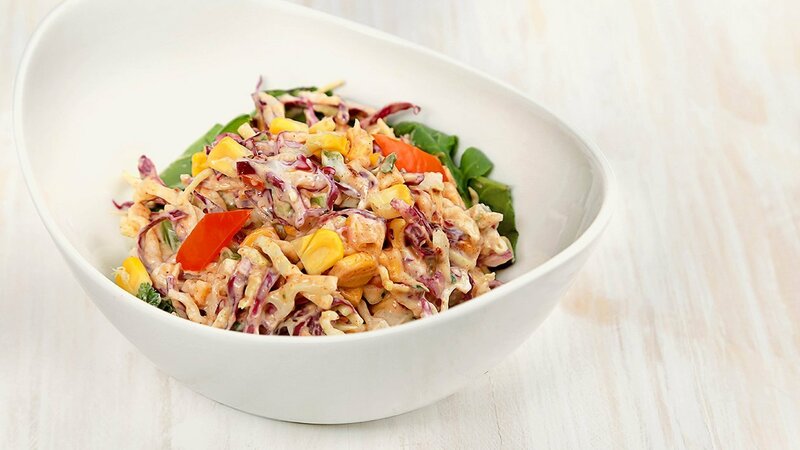 It’s more like a salad then a typical coleslaw, it really is a beautiful coleslaw with so much flavor, the creamy base of this Mexican Coleslaw is made from mayonnaise. Combine the shredded cabbage and peppers, beans, corn, cilantro in a large bowl. Whisk together the mayonnaise, sour cream, taco seasoning, lime seasoning and then add to the cabbage mixture. Mix well to combine and taste for seasoning; add more salt, pepper, or sugar if desired.